I start back to college next Tuesday. But till then…I’m making hearts and “love stuff”. 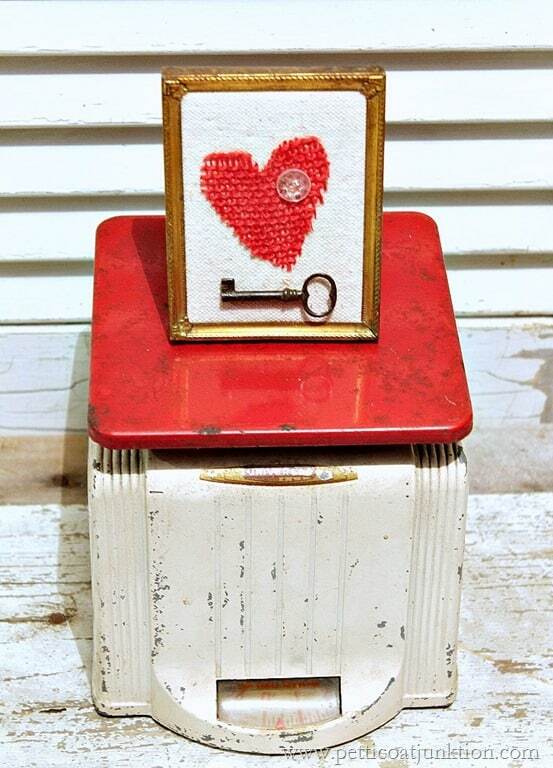 I made the framed heart Tuesday and found the kitchen scales at a local antique shop yesterday. I planned to wait until next week to post the heart craft but after I bought the scales…..well, they’re perfect to display the key to my heart. And I couldn’t wait to share the scales with you. 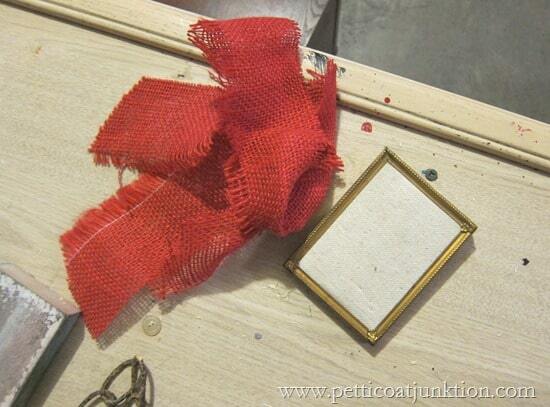 Sometime in the past I used the vintage gold frame and a drop cloth to create something….I think I used it with a decorative push pin and a little note. But I’m done with that now so…..
….and a button….and a key. I cut the heart out myself….no template. This photo shows where I glued the heart and the key on with Elmer’s Glue. White when wet but invisible when it dries….yippee! The scales before I cleaned them. They were priced at $12 and I thought that was a fair price. I haven’t seen any like these before and I’m a sucker for red and white. The rust and chippiness just adds character and charm. I’ve dubbed next week as “Love Week” here at Petticoat Junktion. It will be about hearts, love, and red…..and maybe more. Have a great day…oh yeah, how did you like the craft and the scales? 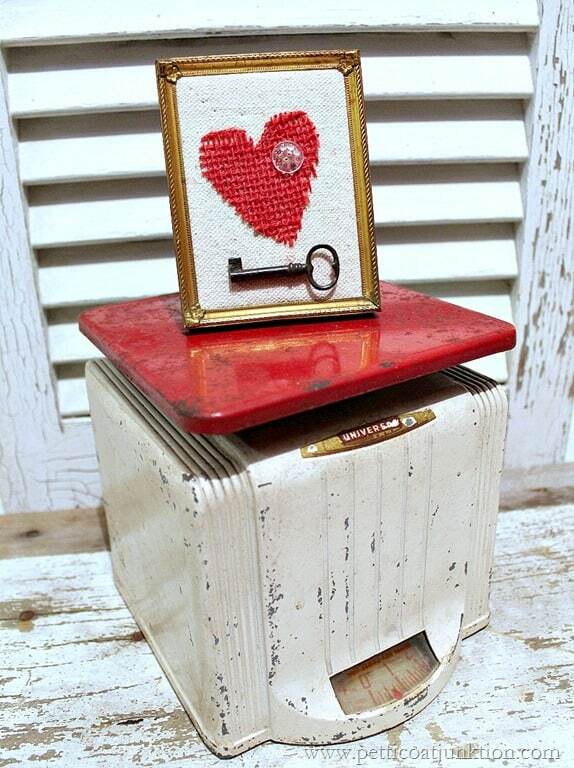 And I have this really pretty one that is red and white but totally different than this one….Red Scale Auction Find. The heart make it looks lovable and delight. I also love Red and White combination. $12 for the scale was an excellent price. I’m a tad bit jealous! But, what a great find for you! Love the scale, smaller than most. Always like any hearts, looks great! Adorable! One of my favorite Valentine signs so far. So cute!!! I love your website. You are so talented! The little burlap heart is darling! 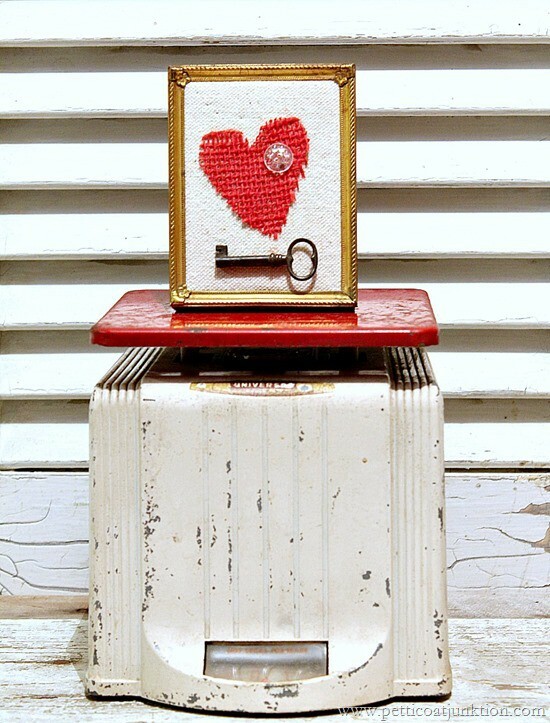 I adore old keys and that was a great little Valentine art piece. 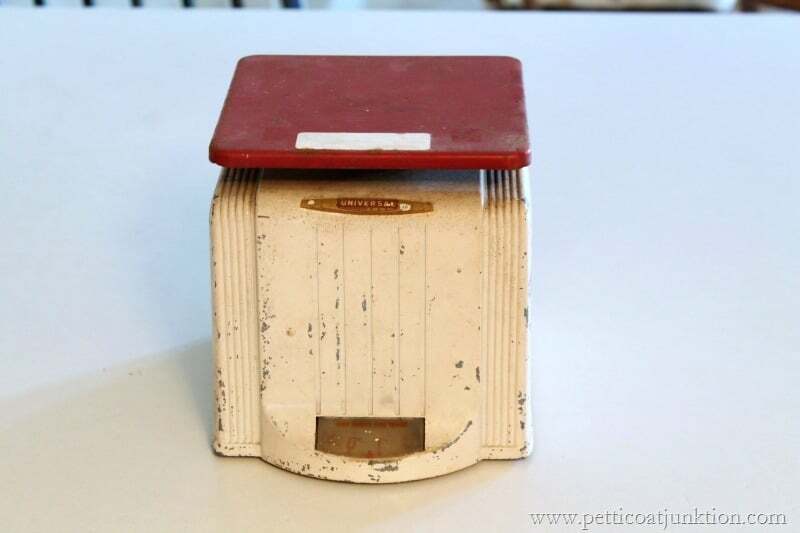 I really like the scale, I would have bought it if I saw it! School is going well with me, 20 pre-k students are a lot to handle but I have a wonderful class this year. I applaud you for returning to school, it’s tough but solo worthwhile! I REALLY LOVE THE OLD VINTAGE ITEMS. I HAVE A VINTAGE GREEN SCALE WHICH I LIKE TOO. Love the scales, you got a great deal on them. 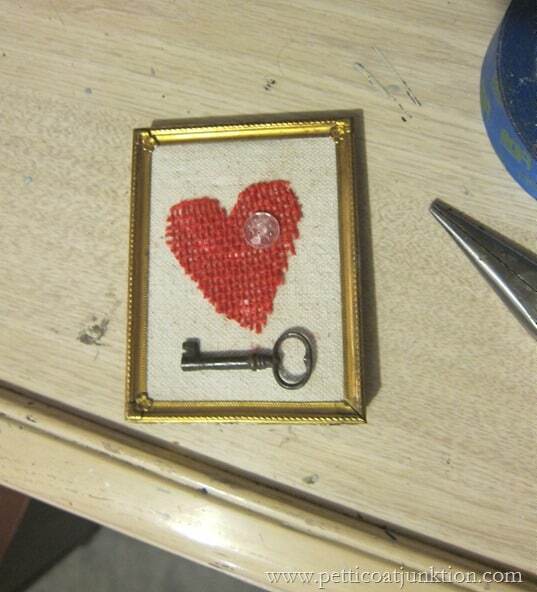 The framed heart and key are so cute!